We believe you have read our previous post on Guest Management, In case if you haven’t, here it is http://wp.me/p2T1CS-cB Second part of Guest Management is Accommodation & Conveyance for guests. We wrote about the initial part, which involves preparing guest list & inviting, that is just the beginning. We always like to give you smart tips on how to manage accommodation & transportation for the guests. Read on. The very basic thing for doing this is to create a list of guests who are going to arrive for the wedding in advance and also how they are arriving. For this, we need to get RSVP’s of people which need to be collected using RSVP’s email confirmation, Facebook event or Wedding Site or a Phone call. Try to get the itineraries of the guests so that it will be easy to plan and manage guest pick up. Prior to this, accommodation arrangement need to be done for guests, if you are getting both the confirmation early it will be better. Booking in advance will save some money and reduce the last-minute confusion seen in getting accommodations. This happens when weddings are planned at some tourist locations or places of some significance like holy places etc. Once we have the accommodation arrangements and transportation arrangements done, it will be good to do a follow-up on both a week before marriage just check on everything. After this, the pickup of guests should be sorted out with vehicles assigned to the pick up as per number of guests. Guest pick up need to be managed by one person and assisted by another to ease the job & cross check. This should be assigned to someone from family or someone who knows the guests arriving. If this is not possible, the driver should be provided with Name Placards of the respective guests to be picked up. One of the family members should be in the hotels/apartments to welcome the guests who are coming in. Guest list should be updated with the people who arrived, who are yet to arrive by coordinating with the person who is going for picking up. For maximum attention and interaction with guests, it will be good if the guest accommodation and host accommodation is in the same place or nearby place at least. The day guests arrive; invite them for a private gathering which will act as an ice-breaking session too. This can be mapped to the mehandi/sangeet function where all ladies come and get their hands decorated with Mehandi. Apart from this, if the guests are interested in a vacation and wedding, then we at TheKnotstory can get you good packages for the same. Always keep someone in charge to welcome, manage guests, this gives a homely feeling for guests. Plan some small entertainment/sightseeing program for guests. Last but not the least, keep buffer time, back up of people & vehicle which can be utilized in case of last-minute surprises. Plan, Organize, Manage your weddings anywhere, when in doubt we at Theknotstory are here. This entry was posted in Wedding / Marriages, Wedding Planning and tagged Family, guest management, guest pickup, guest transportation, indian wedding, Indian wedding invite, People, planning, wedding guest list, wedding planning. Bookmark the permalink. 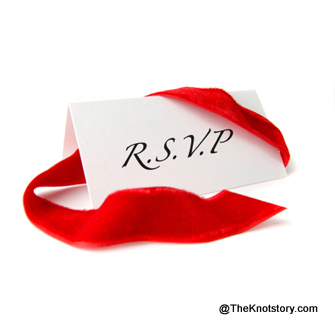 ← Wedding Planning 001 : Guest List & Wedding Invites!